Last week, I went to visit a local museum, the Behnhaus-Drägerhaus in Lübeck. It is an amazing place that has been there all my life. 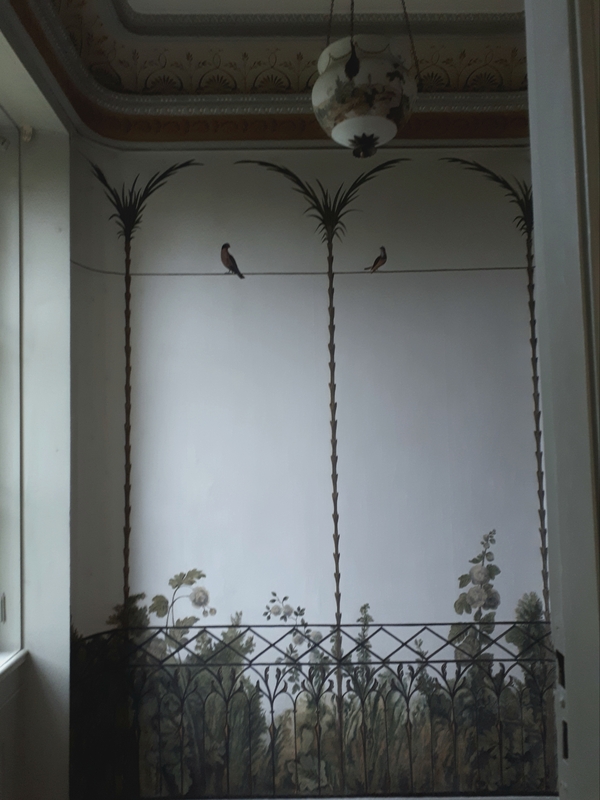 Set up in two Georgian townhouses, it combines displays of 18th, 19th and 20th-century art with period rooms that are filled with Georgian and Regency furniture. The experience was very immersive as I went there on a quiet weekday. It left me puzzled why I had not come here before. 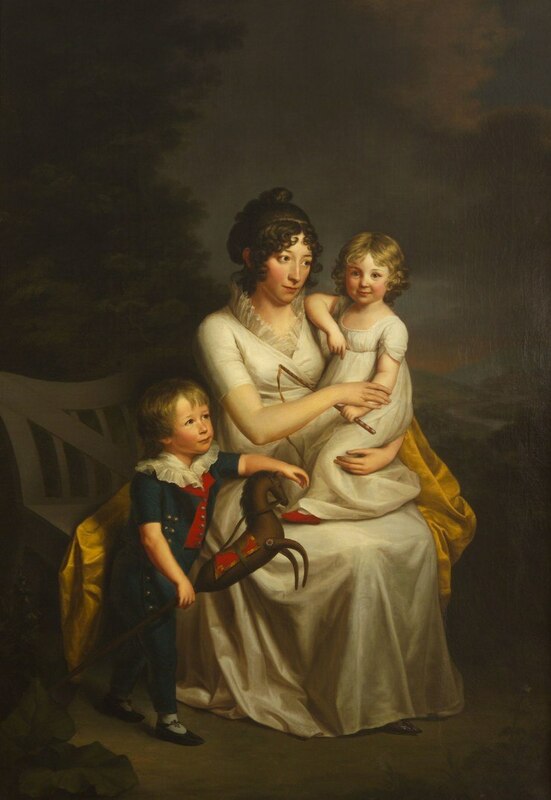 Portrait of Henriette von Heintze with her children by Friedrich C. Gröger, c. 1803. 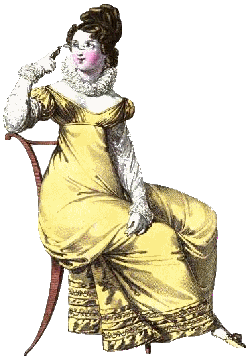 … a Georgian room! It was labeled as the guests’ parlour and breakfast room. Like many others in the museum, it still had the original panelling, stucco and wall paintings that have been restored very well. The creaky wooden boards added to the experience. All that was newer, was the electrical lamp that should date to the early 20th century. Just being in there left me breathless. I stood there for a good minute, gawping and wondering. Then I sort of started decorating it with period furnishings from plates in Ackermann’s Repository before my mind’s eye. This experience was as strange as it was amazing. I should visit this special place more often. Maybe, next time, I can come back in costume. Thank you so much for sharing this, it’s brilliant. Im in Australia, and we have so little of our short (convict/free settler) history preserved, even the beautiful indigenous history of our country is falling victim to ‘progress’. How lucky you are to have these marvellous things so close to hand. Yes, we are very lucky in that respect, especially in Lübeck. It was part of the Hanseatic League and a lot of buildings from the 16th through 18th century survived. Thus the city council is very adamant on conservation and preservation. I have not been to Australia, but this sounds like some other regions here that put economy over history. It is always a huge pity when this happens.